A dentist is a specialist who works to diagnose, treat, and prevent oral health problems. Dr. Franklin has completed at least eight years of schooling to obtain her Doctorate of Dental Surgery. If a doctor is a pediatric dentist, this means that he or she specializes in caring for children from infancy through their teen years. A pediatric dentist has received the proper education and training needed to work with young kids. Your teeth may feel fine, but it’s still worthwhile to see Dr. Franklin regularly because problems can exist without your knowing. Your smile’s appearance is important, and we can help keep it healthy and looking beautiful. The American Academy of Pediatric Dentistry (AAPD) recommends that children first see a dentist as early as six months of age and no later than one year. During this time, your son or daughter’s baby teeth will be coming in and Dr. Franklin can examine the health of those first few teeth. After the first visit, be sure to schedule regular checkups every six months. 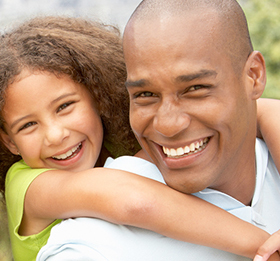 Children, teens, and adults should all see a dentist for a regular checkup at least once every six months. Patients who are at a greater risk for oral cancer or gum disease may be required to come in more than just twice a year. Dr. Franklin will help determine how often you should visit our office for regular checkups. According to Dr. Franklin and the American Dental Association, you should brush your teeth at least two times a day. Brushing keeps your teeth, gums, and mouth clean and healthy by removing bacteria-causing plaque. Yes! In fact, it’s even more vital that patients receiving orthodontic treatment visit their dentist regularly. With braces, food may be caught in places your toothbrush can’t reach. This causes bacteria to build up that can lead to cavities, gingivitis, and gum disease. Dr. Franklin will work closely with your orthodontist to make sure your teeth stay clean and healthy while you’re wearing braces.